I wish Stardock would better support their games without a lot of costly DLC. Seems very much like greed to me. How about putting all the DLC together for Fallen Enchantress: legendary Heroes for £10 on Steam. 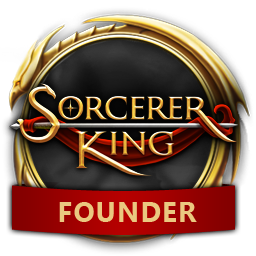 I won't be buying Sorcerer King until they stop robbing their players. I also remember a cheap offer for Fallen enchantress if you had Elemental, which I had, but never could redeem the offer. Be patient. They often have 50% off sales on all their DLC and major titles. Yeah, the DLC seems a little pricey to me as well. I'll wait for the steam sale. My favorite game designer is 'On Sale." You know I changed my mind about lowering the price on dlc. SOME OF THIS STUFF SHOULD BE FREE. The 'map pack' for example, 'adds more variety to the randomly generated maps and adds five new maps'. The starting positions in this game are not good and deserve to be fixed, but pay for it? Still waiting for the steam sale. How entitled are you? DLC too expensive? At a price cheaper than lunch at a fast food restaurant? If you don't think it's worth it don't buy it. And Stardock has used the proceeds from those sales to keep updating and improving LH for everyone, not just those who bought the DLC. There's no way we'd be at 1.8 with this game without the DLC. "Robbing their payers?" get off your high horse and think about the fact that skilled people had to do work to supply the player base with extra content which you are under no obligation to buy.